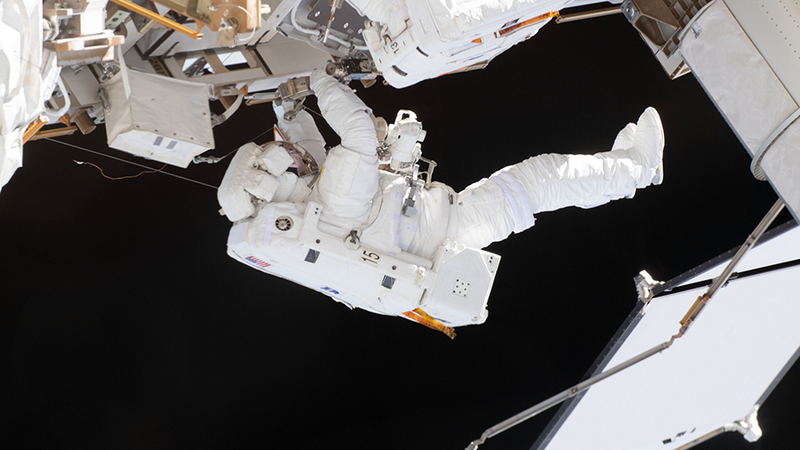 NASA astronaut Nick Hague is contrasted by the blackness of space during his first spacewalk on March 22, 2019. 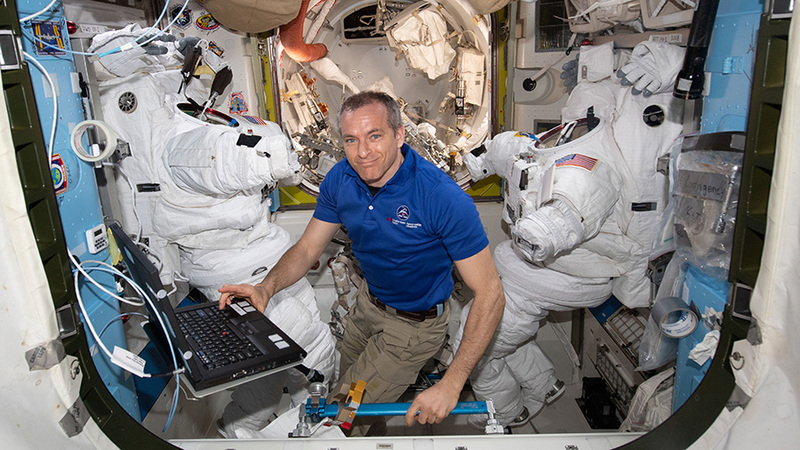 The duo from the Expedition 59 crew switched their spacesuits to battery power at 7:42 a.m. EDT to begin the estimated six-and-a-half hour spacewalk. 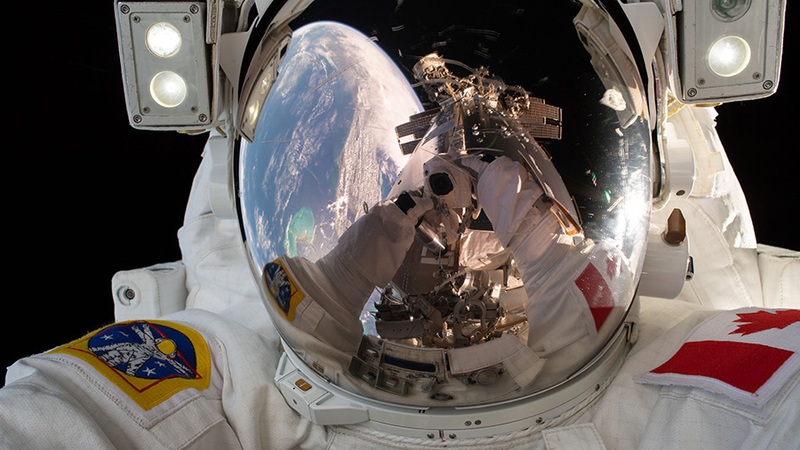 This is the 215th spacewalk in support of space station assembly and maintenance. 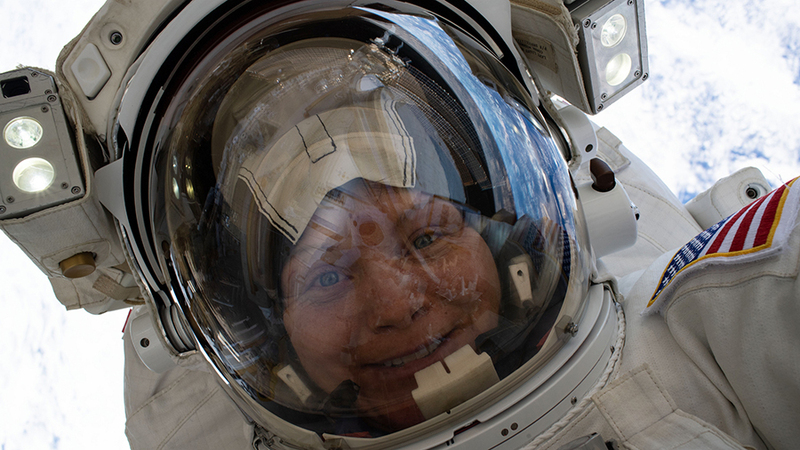 Hague is extravehicular crew member 1 (EV 1), wearing the suit with red stripes and helmet camera #20. 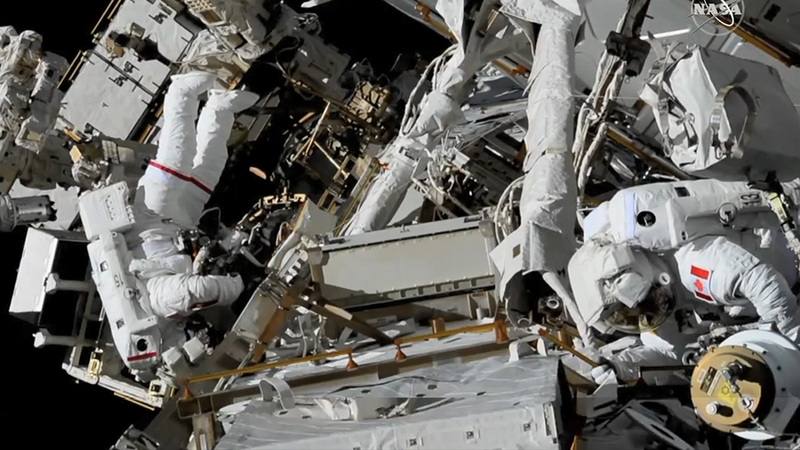 Koch is extravehicular crew member 2 (EV 2), wearing the suit without stripes and helmet camera #18. 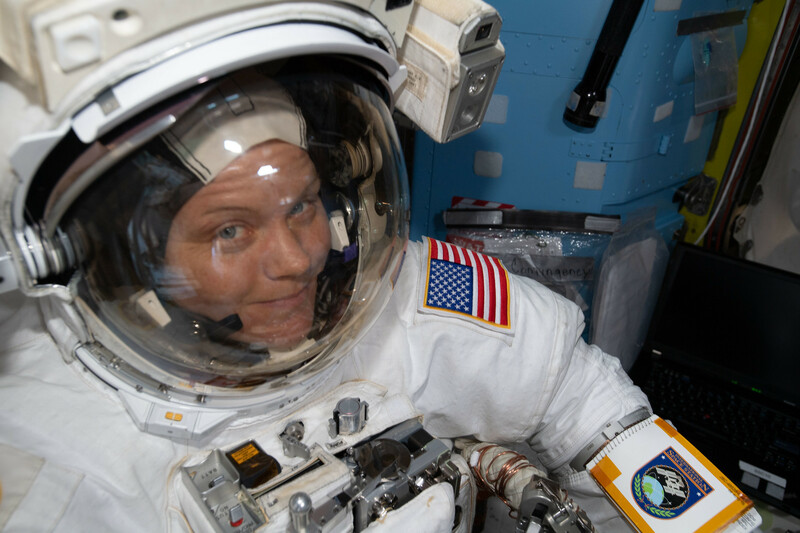 This is the second battery replacement spacewalk in the past week, continuing work Hague and Anne McClain performed March 22 to install adapter plates and complete electrical connections for three of six new lithium-ion batteries for the station’s port truss. 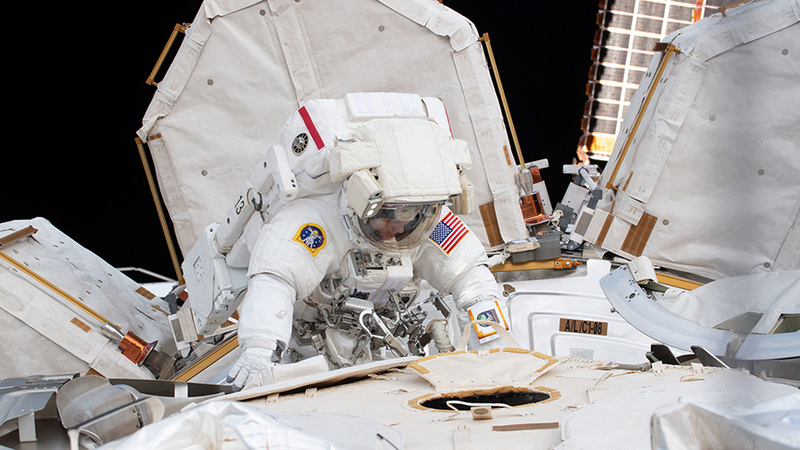 The batteries store power generated by the station’s solar arrays to provide power to the microgravity laboratory when the station is not in sunlight as it circles Earth during orbital night. 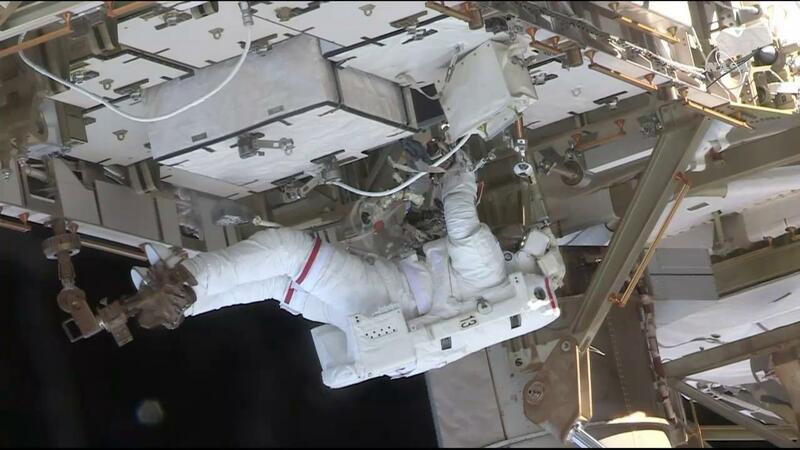 One of those new lithium ion batteries has not been successfully holding a charge, so as part of today’s spacewalk, Hague will begin preparations for robotic operators to replace the new battery that is not working with the two old batteries, ensuring optimal power supply at the space station. 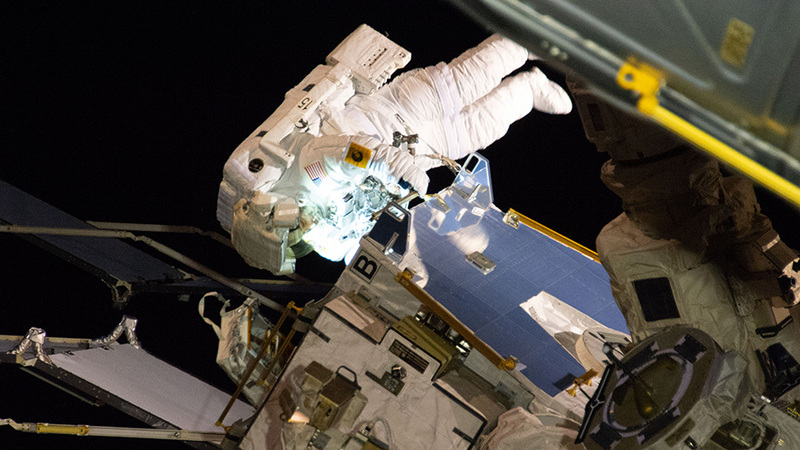 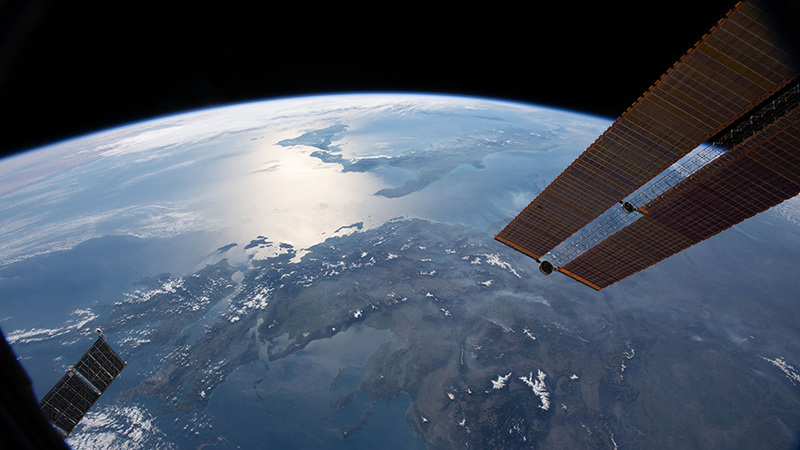 Meanwhile, Koch will prepare the worksite for the delivery of the next six new lithium ion batteries that will arrive to the station aboard a Japanese H-II Transfer Vehicle later this year to upgrade a third set of the solar arrays.